Is walking a safe activity for Floridians? Sure, most of the time it is. But when a pedestrian and a motor vehicle collide, the pedestrian is going to get the raw end of the deal every time. In such a circumstance, an experienced personal injury attorney can help you recoup the costs associated with your accident. 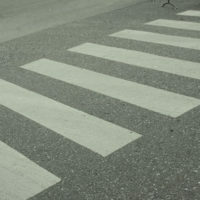 Florida is one of the leading states involving fatal pedestrian accidents. From 2014-2015, crashes involving pedestrians went up by nearly two percent in Florida, from 7,737 to 7,870. During that same time frame, the number of pedestrian fatalities in Florida increased from 606 to 632, over a four percent increase. Nationally, more than 12 pedestrians are killed daily in motor vehicle accidents. Males make up over two-thirds of pedestrian fatalities. Nearly 75 percent of pedestrian fatalities occur in urban locations. The average age of pedestrians killed is 47. The average age of injured pedestrians is 37. Roughly one-third of pedestrian fatalities involve pedestrians with elevated blood alcohol levels. Drivers involved in pedestrian accidents had elevated blood alcohol levels in 14 percent of incidents. Nearly one in five pedestrian fatalities involve pedestrians aged 65 and older. Although high speeds are associated with pedestrian fatalities, more than 20 percent of children killed by vehicles occurred in parking lots and driveways when drivers were unable to see the child. Pedestrians who are injured in vehicle/pedestrian accidents typically suffer injuries to the lower extremities, with head injuries ranking second. Injuries to the head and thorax generally are the most serious, with possible trauma to the brain a significant issue. Females are more vulnerable to pelvic injuries. Trucks and vans tend to produce lethal results more frequently than cars in pedestrian accidents. Head injuries are involved in the preponderance of deadly accidents. The mental and emotional costs surrounding a serious accident are incalculable. However, the lifetime costs associated with medical bills and lost wages are relatively easy to compute, and stunningly high. Depending on the seriousness of the injury and the age at the time of the accident, total costs associated with a pedestrian accident over a lifetime can be in the millions of dollars. That is no small amount. If you or someone you love was injured or killed by a motor vehicle, you want compassionate, but aggressive and knowledgeable attorneys on your side. At The Law Offices of Robert W. Elton, we take pride in our ability to investigate and fight for our clients in order to get them the maximum settlement possible. Contact our offices in Daytona Beach and Ormond Beach today for a free, confidential consultation.